Photo provided by the Savannah Waterfront Association. 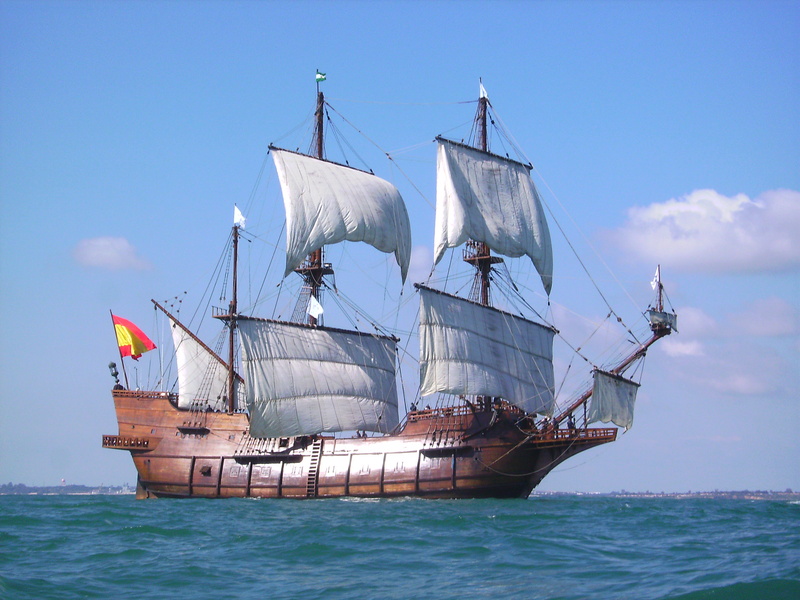 This Friday the Spanish tall ship El Galeón Andalucía will stop in Savannah and dock on River Street so visitors and locals alike can step aboard and explore the only Galeón class vessel still sailing. But the fun doesn’t stop with a tour and trip around this ship. Things really kick off on Friday with Tapas and Tango – A Night in Spain, which features a silent auction benefiting Bethesda Academy. On Saturday there are events for kids and adults with Blackbeard’s Treasure Hunt through downtown Savannah and the Party like a Pirate Rum Tasting and Concert. In addition to these events and tours of the 170-foot long, 500-ton ship, there will also be two days of learning opportunities with exhibits on Rousakis Riverfront Plaza celebrating local maritime history for kids and school groups to enjoy. “During the day on Monday and Tuesday we’ll have educational tours for school kids,” said Bligh. And for Halloween, the ship will be transformed back into the pirate ship it’s known to be – the pirate ship commanded by the legendary Blackbeard that was featured in NBC’s “Crossbones,” starring John Malkovich. “We are very excited to scare the wits out of folks during the haunted pirate ship,” said Bligh. On Thursday, Oct. 30 there the Pre-Treat on River Street with the family friendly Haunted Pirate Ship from 6 to 9 p.m. and on Friday, Oct. 31, the ship will be open to adults 18 and up from 7 p.m. until midnight to go with the 2nd annual Crawl-o-ween that the Savannah Waterfront Association is also hosting. The pub-crawl costs $10 per person and starts at the Arbor Stage in Rousakis Plaza, where ‘crawlers’ pick up their ‘crawl card’ and their glow-in-the-dark souvenir cup. For more information about the tall ships, go to its event page on our calendar or call the Savannah Waterfront Association at (912) 234-0295.